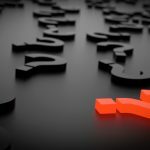 Why Does My HVACR System Need Commercial Refrigerant Analysis? Refrigerant is the unsung hero that keeps your air conditioner pumping out cool air. The only way your commercial HVACR system stays cool is with pure refrigerant. Impurities reduce efficiency and increase maintenance issues. The only way to tell if your HVACR system is running on pure refrigerant is to have a professional perform an analysis. This post will go over refrigerant analysis and how it could benefit your business. The summer season may be winding down, but if you’re living in the Texas Panhandle, it’s still hot. If you own a commercial HVAC system, you may be concerned about its status after a hot summer season. 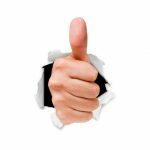 The following will go over some of the most frequently asked questions about these systems and how you can improve efficiency. Need A Commercial Refrigeration Tech? 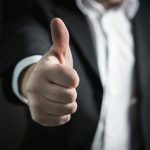 Follow These 3 Tips! No matter how advanced or reliable your refrigeration system is, it will eventually run into problems that could cause shutdowns or unexpected breakdowns. With regular maintenance and inspections, you can ensure that your system runs at its best for as long as possible. However, maintenance can only take you so far. You will need to hire a technician to inspect your system and provide more in-depth services at some point. As the Texas Panhandle heats up each summer, your old commercial HVAC unit could be driving up costs. One option is to replace your HVAC system, but many businesses cannot afford to install a new unit. You may also be moving locations and do not want to invest in a new system. There are many scenarios in which replacing your commercial HVAC may not make sense. If you’re in one of these situations, retrofitting, or upgrading, your current system may be a better option to improve efficiency and lower costs. 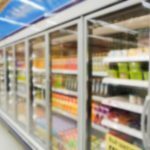 One aspect that may be overlooked when working with commercial refrigeration systems is safety. You don’t have to sacrifice safety for efficiency or the other way around. Keeping your refrigeration system properly maintained can increase its life and optimize performance as well as keep your products safe. Here are some guidelines you should follow for optimum safety and efficiency. Hydro Excavation: How Does It Work And Is It Worth It? Hydro excavation is a digging method that uses a combination of water and vacuuming to remove debris. Traditional techniques use manual methods, but these run the risk of damaging the earth and employees. 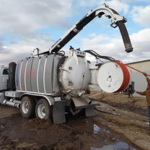 Hydro excavation uses trucks and hoses to blast water and then later vacuum the slurry away. Refrigeration systems are some of the largest consumers of electricity in the world. Some studies place refrigeration at around twenty percent of worldwide energy consumption. 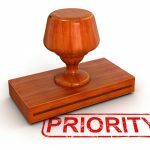 However, if you follow this simple checklist, you may be able to substantially reduce your energy costs up to twenty percent of your overall electrical consumption. Additionally, you may be able to extend the life of your equipment through more efficient use and better maintenance scheduling. Regularly scheduled maintenance is one of the most important steps you can take to ensure your HVAC unit is running smoothly. A maintenance schedule can save you money by preventing expensive breakdowns. A broken HVAC system will not just cost you money in repairs, it could also lead to unhappy tenants, employees, or customers. Here are some tips on what you can do to to maintain your HVAC system. One of the most expensive issues with commercial HVAC systems is broken or malfunctioning ductwork. The ductwork is a series of connected, suspended tunnels that move hot and cold air throughout your building. The vents in your ceilings are fed by the ductwork. If there is a problem with this part of the system, it can affect your entire HVAC system. 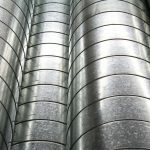 Here is how you can identify and repair four common issues within your ductwork. A working refrigeration and air conditioning system is critical for restaurants, convenience marts, grocery stores, and many other businesses that rely on keeping customers happy. If your system has ever broken down, you know the resulting problems it can cause. The following will go through some basic maintenance tips to keep your system running smoothly this summer.